Continuing my series of “What to wear when you're expecting”, the item I wanted to highlight today is a wrap dress. (Part I: How to style a boyfriend blazer and Part II: How to style a maxi dress). For the office, wrap dresses are a great solution. The beauty of the wrap dress is the wrap portion. You can make it as tight or as loose as you want. Since it’s a wrap dress, I have the ability to adjust it. 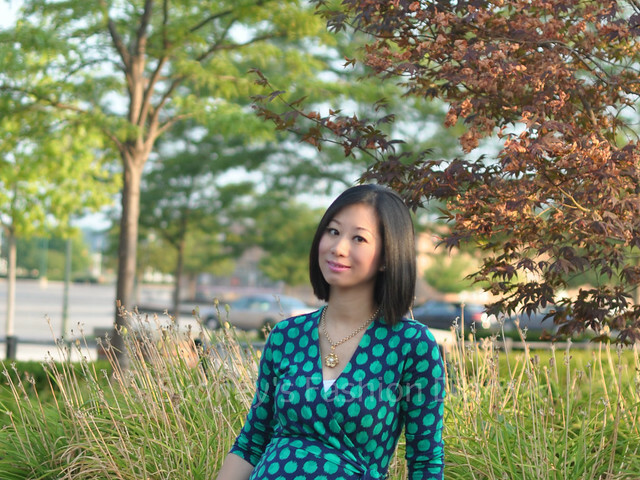 For expectant mothers, wrap dresses are great for transition to and from pregnancy. 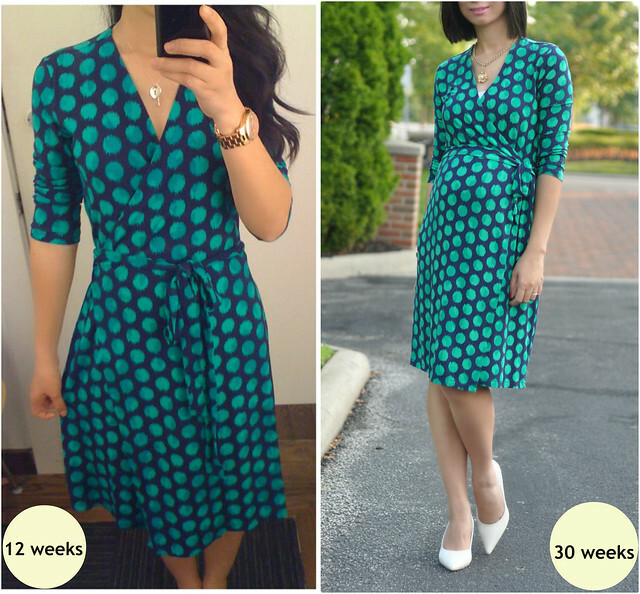 I lived in this Old Navy wrap dress throughout my first and second trimester. Although, it is getting shorter since my tummy is getting bigger every day. i love wrap dresses (although i dont have any!). this one looks stunning on you. i am also loving your comparison pics (and for the maxi!!). keep it coming!!! so pretty!! love that color on you. Cannot believe you are 30 weeks already. You look so little. You look gorgeous in this Sydney! agree with SPG love the before and now too, you just need to take another one with that dress around 30+ weeks! :D have a great weekend Sydney! You look incredible! That is seriously the perfect dress for your pregnancy. Just gorgeous! You look great in that dress and I cannot believe you are already so pregnant! You still look so slim for your pregnancy.